Prior to coaching clients with ADHD and Executive Function challenges, Kay spent twenty-two years in the public school system as a Special Education teacher at the junior high and high school levels. In this role, she saw the relevance of not only supporting students to complete high school, but to prepare them with life skills necessary to succeed in the real world. She designed and implemented the Transition Program at her high school and worked directly with students, parents, counselors and agency representatives to develop an individual transition plan for every senior enrolled in the special education program. She had the opportunity to work closely with individual students and their parents and collaborated with classroom teachers in an effort to provide a custom-designed academic program that would meet needs of individual students. 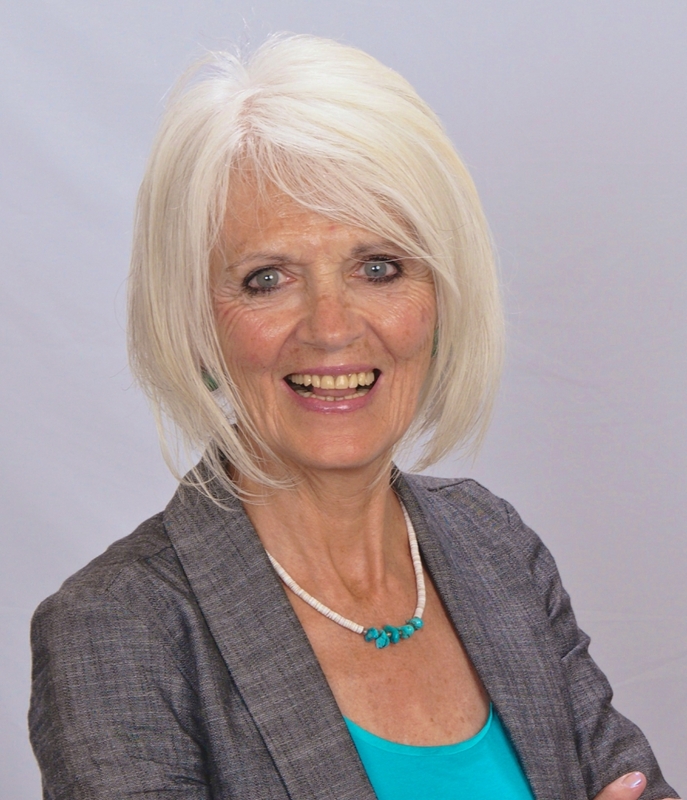 Kay left her teaching career in 2003 and embarked on a new career as an ADHD life coach. 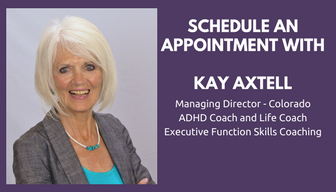 Kay is a Senior Certified ADHD Coach . She is also certified ias a Career Services Specialty coach. Her specific training at the American Coaching Academy, JST Coaching, and Career Services Specialty Coaching qualifies her to coach individuals from elementary school through adulthood. Kay has presented at the International Learning Disabilities Association Conference, the ADHD Coaches Organization Conference, and the Colorado Council for Exceptional Children Conference. She has presented locally to students and staff at Community College of Denver, University of Colorado at Denver, as well as the local chapter of CHADD, pediatricians offices and private schools. Managing time, money, space and relationships as an adult with ADHD or Executive Function challenges. Complimentary webinars for parents and students seeking direction for life after high school. Click here to learn more about Kay. If you can't find a time that works or experience difficulties, please send an email for assistance to Kay@adhdcoach.life.